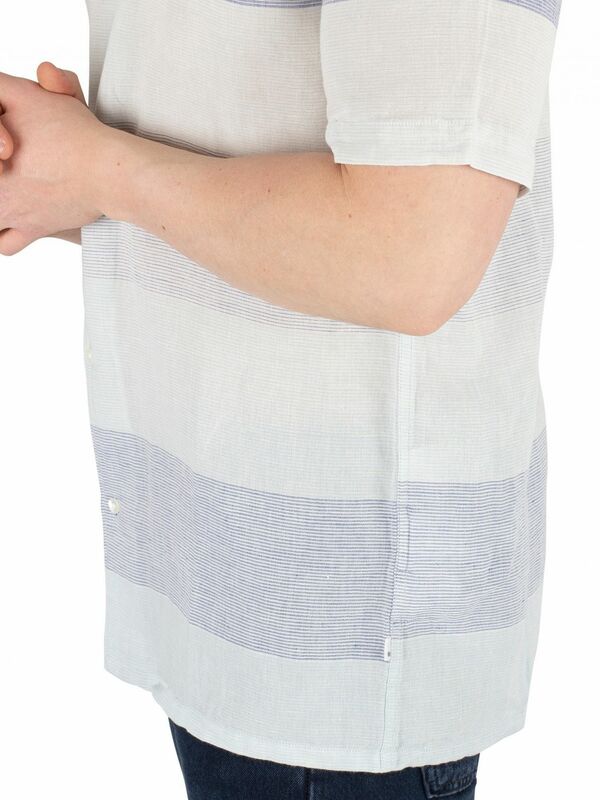 The Cubano Shortsleeved Shirt from Levi's comes with button closure and a straight hem, featuring a tag on side. 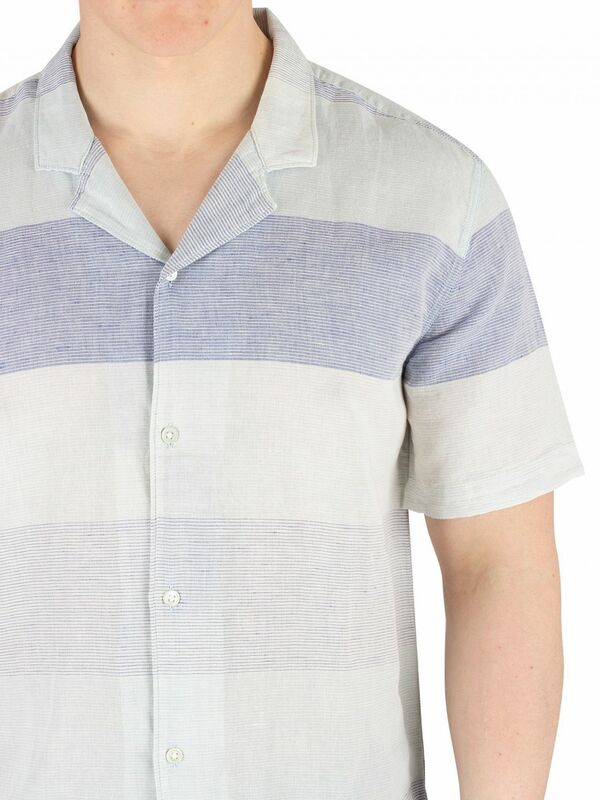 This shirt for men is made using a soft blend of linen and cotton. 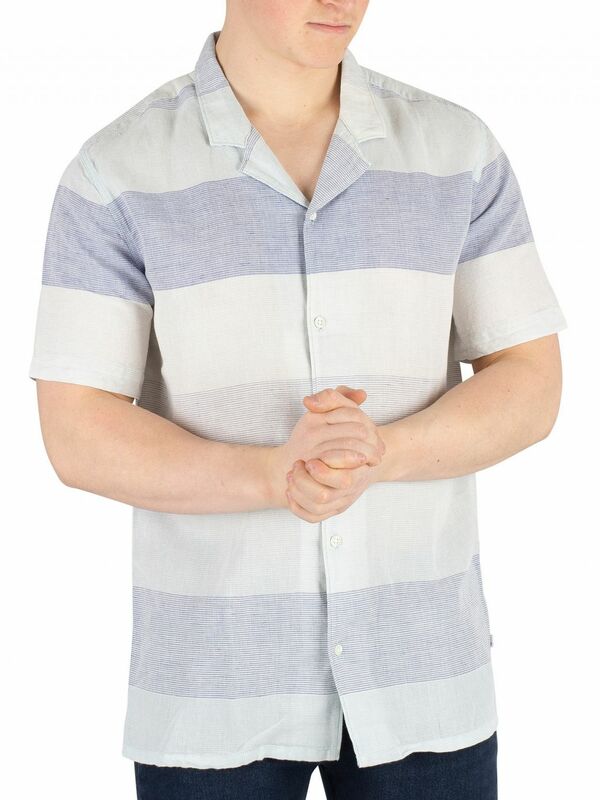 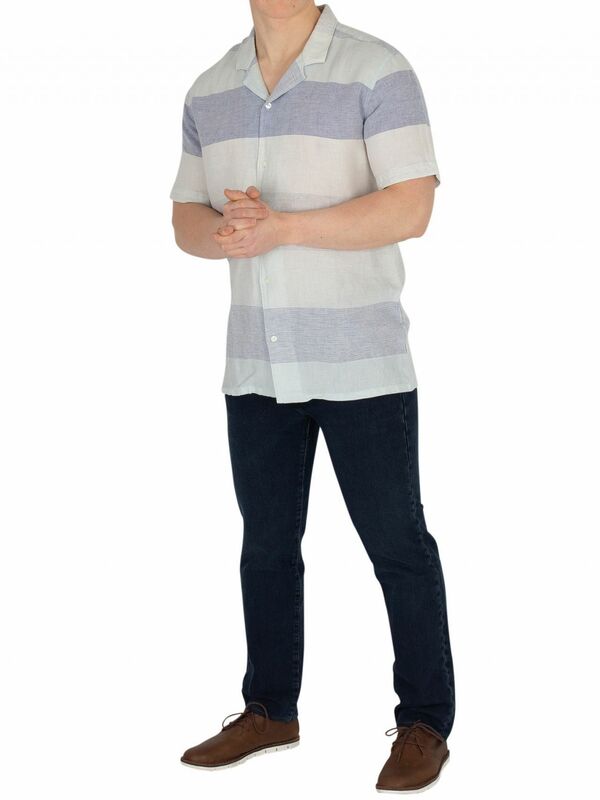 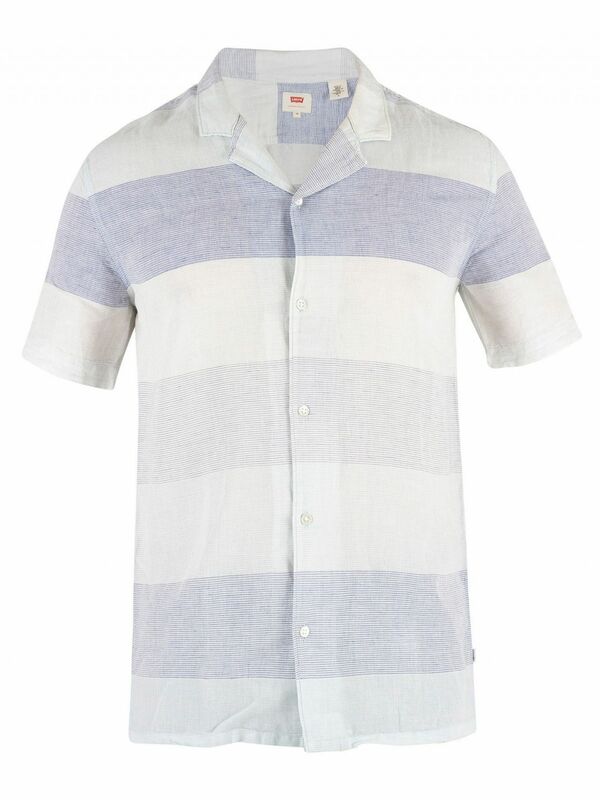 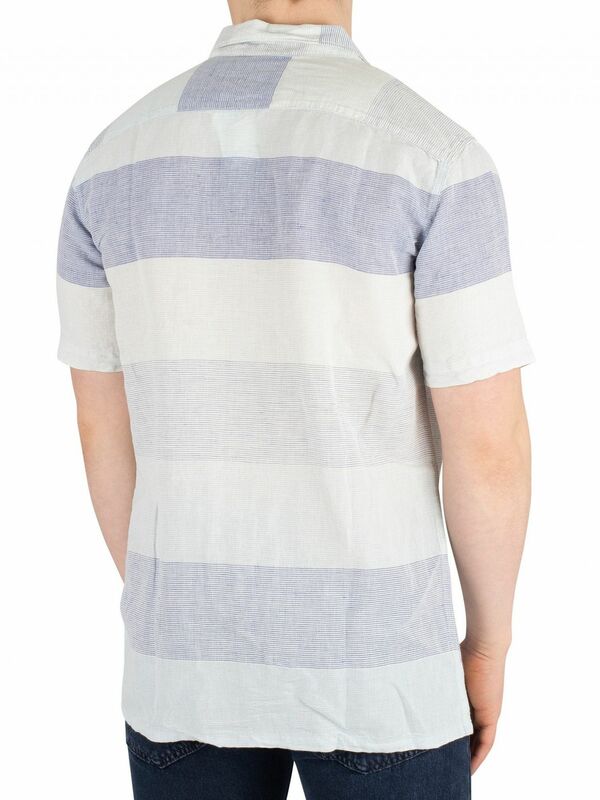 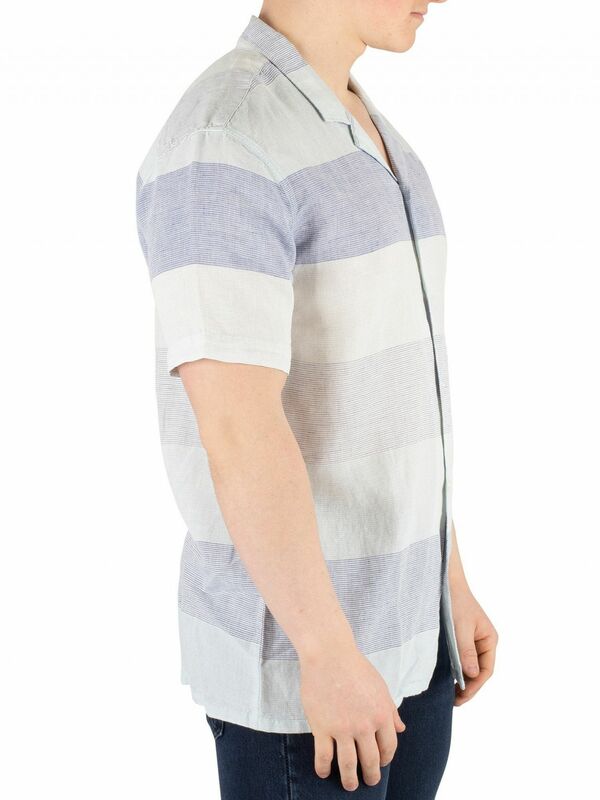 Coming in Boyer Marshmallow Stripe colour, this shirt sports a casual spread collar and short sleeves.